A colourful 22 degree sun halo on February 16th 2007 at 13.30 UT from Maghera, N. Ireland. 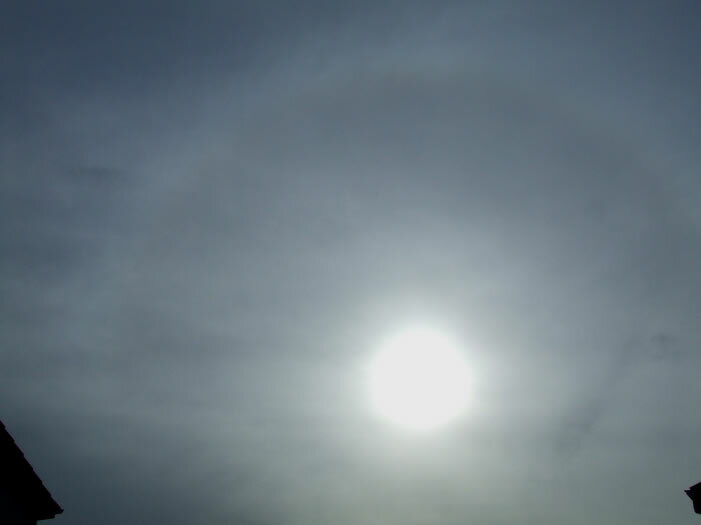 Notice the 'milky' cirrostratus clouds which are packed with ice crystals producing the halo. This is a faint example of a halo - other incarnations can be spectacular!